Win the Ultimate KINGDOM Experience at the BIG GAME! 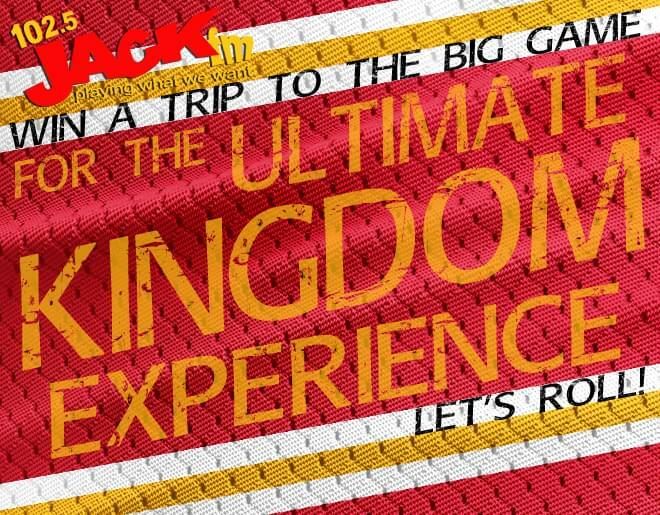 History has been made is Kansas City and 102.5 JACK-FM wants to send you on a trip to the BIG GAME for the ULTIMATE KINGDOM EXPERIENCE! Be listening weekdays in the 7am, Noon and 4pm hour for the cue to text and your entered! Let’s Roll!